What a week in EVE! Legacy Coalition and the Imperium officially join forces. With no time wasted the Imperium deployed to the north to bring the war to Northerners, as a response to PL’s deployment to the south. The war now has 2 fronts and it a race for destruction. Will Legacy Coalition burn before the North? On this weeks show we look at the tale of 4 Keepstars – 2 anchored, 1 saves and one destroyed. They are symbols of what it so come as EVE enters a massive summer war. We hear from famed Fleet Commanders Sebastien Saintfrusquin fro C02, and Sister Bliss (Initiative), all after the World Cup – congratulations France – for winning 2018. Killah Bee comments that it wasn’t a surprise to NCPL and have been planning based on that assumption for a while. Imperium Mobilizes North, creating a second front. 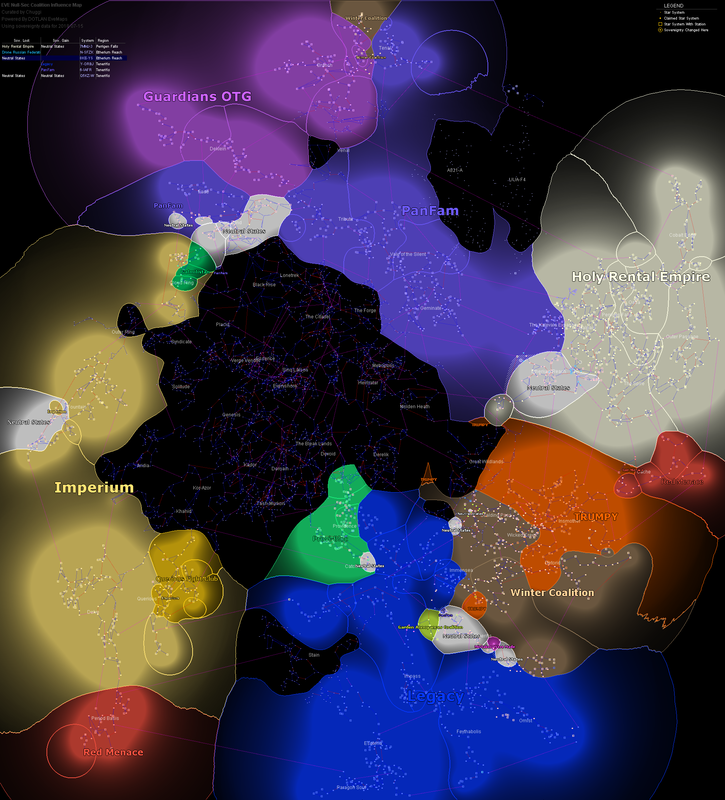 Imperiums Titan Groups are inefficiently positioned on the Keepstar and potentially allows Northern Alliances leverage to attack from certain angles. GotG and Horde try to engage with Ishtars and Gilas respectively but are slowly and methodically dispatched using Titan LR Guns, Lance DDs, and fighters. Northern Alliances use small squads of LR Dreads in different spots to pause repair timer and create longer fighter travel time for Imperiums Carrier and SuperCarrier Groups. They slowly die to Imperium Carrier Fighters and subcaps. 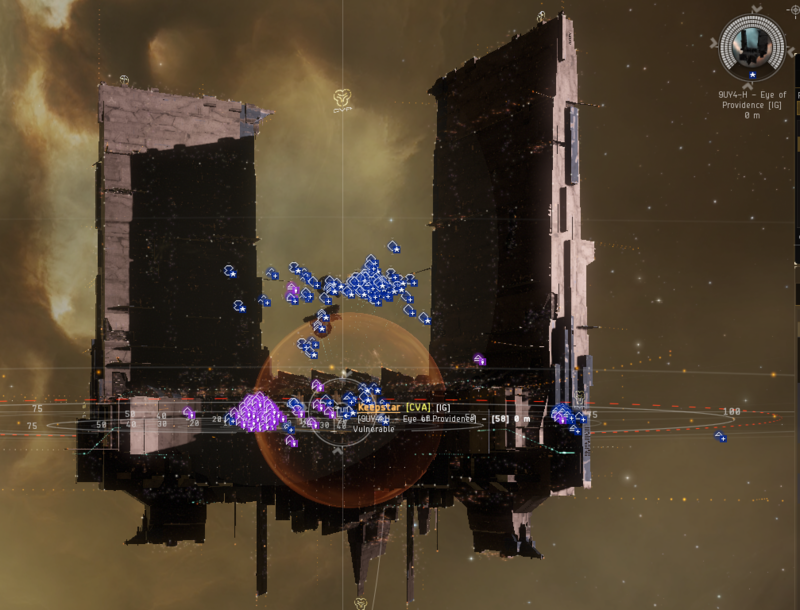 Northern Alliances Ishtar FC is headshot after almost entire FC team suffers disconnects and Ishtars burn straight at the Keepstar nullifying their transversal, allowing titan guns to track them. Horde bring in T1 disruption frigates and cruisers to reduce fighter effectiveness but all die to Initiative Smartbomb Lokis. NCdot Rokhs attempt to pause timer but are hit with bombs, LR titan guns and fighters due to server performance. NC mobilizes to the west. 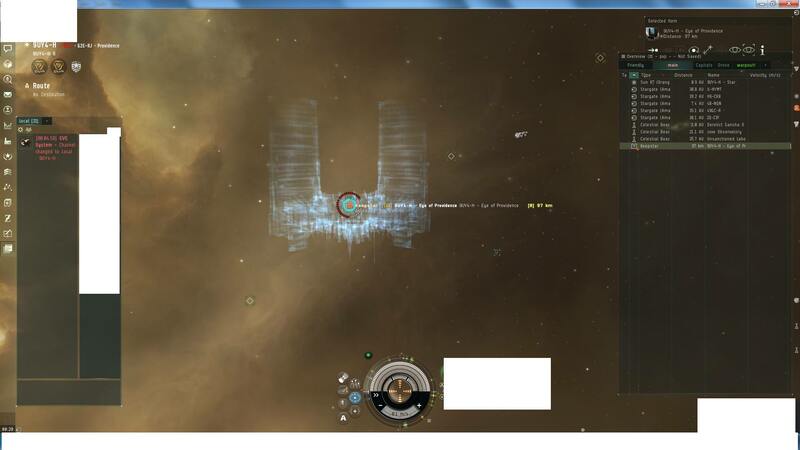 Cyno jammers thought unable to be put online prevents Imperium super fleet from cynoing in and engaging. Change in cyno jammer CPU ‘requirements to online’ occurring 3 years prior, goes unnoticed to many except some Null Sec entities that end up fighting sov warfare against large supercap heavy entities, namely NCdot, PL vs Co2 when getting evicted from the north. Aegis Sov is introduced around the time the Jammer change occurs. Seemingly no patch notes exist for the change in CPU requirements for the Cynojammer module. Imperium loses sov in the north via overwhelming numbers and ceding space in an effort to concentrate forces that ends up ineffective. War is fought mainly using new Aegis Sov mechanics and not large single point conflicts that have to take into account defenders cynojammer umbrella utilization. 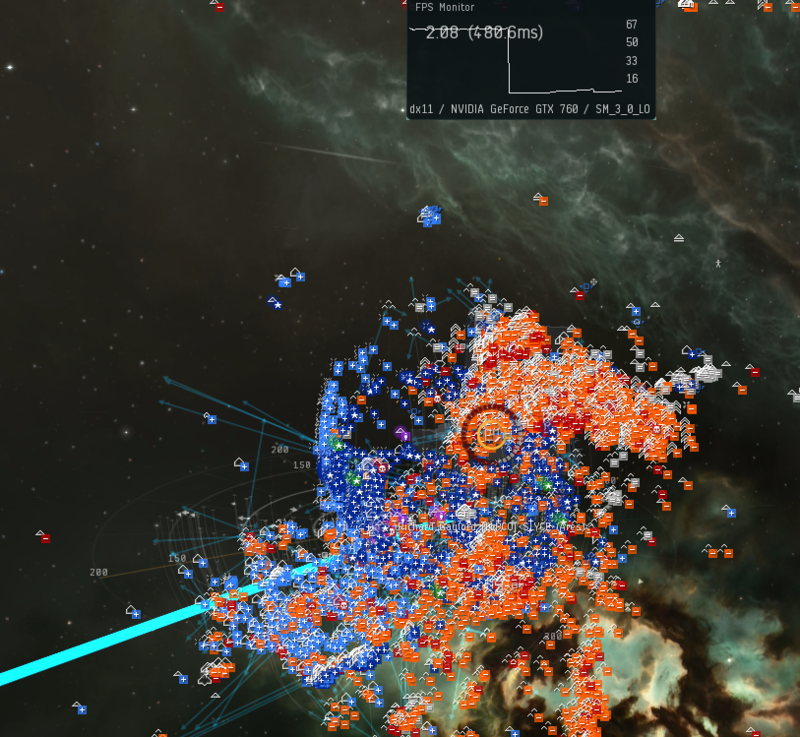 CO2 gains sov in the north as arranged for flipping sides during the war, their newly built Keepstar in M-O dies around a year later to the same forces they flipped sides to and are evicted from the north, but learn a valuable lesson in cynojammer technique along the way, as do NC and PL who have to deal with the usage of Cynojammers requiring 0 CPU to online as their forces rely heavily on capital and supercapital use. 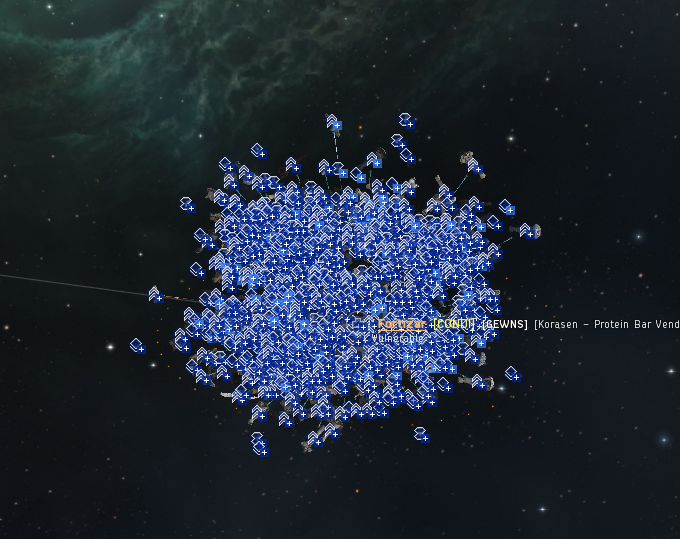 Situation not too dissimilar to Imperiums dropping of a Fortisar in Z-Y where Northern Forces stood down from the engagement when Initiative onlined a cynojammer in system and bubbled the Pure Blind In-gate forcing the Northern Alliances into a choke point to contest the Fortisars anchoring. 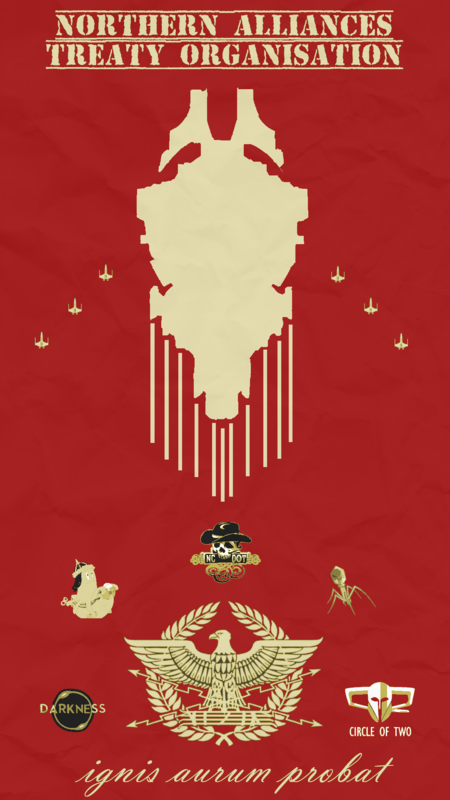 Keepstar is reinforced by strong supercapital and titan forces backed up by subcapitals of eastern coalition forces. Armor timer fight yields largest fight. Final timer sees massive disparity in numbers between aggressors and defenders. almost 2000 vs 400. Test bring Goku Bomber fleet and regular Bomber fleet comprising allies. Small Russian force from Dream Fleet and allies try to contest through the systems gate in a Bhallgorn fleet but are defeated by both CVAs subcaps and Capital forces during the 15 minute vulnerability window. CVA celebrate their Online Keepstar with a ritual sacrifice of capitals via the new Keepstars Chain Doomsday Device. Hard Knocks, Lazerhawks, Tishu and other associated WHers, bait out and kill Ranger Regiment Capitals and Titans in QYZM (Branch) late Saturday evening. TEST has always helped CVA setting better ground in Provi. Legacy tried to defend the first KS of CVA. (There is even the story that the defense fleet ping gave NCPL the info that there was a KS anchoring). And also the with this KS: The KS was sold by TEST, the defense Fleet was sold and prepared by TEST etc. 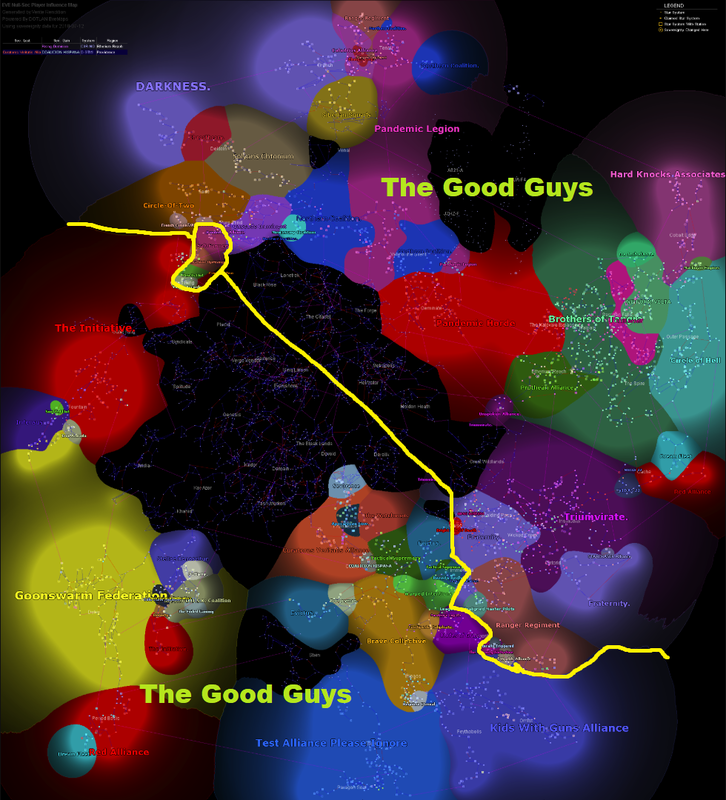 A provi keepstar from CVA is 100% no “victory from the North” as CVA hates Panfam but is friendly towards Legacy.